A historic Davie County farmhouse is getting a new lease on life as a beautifully appointed event center. Join us for the Grand Opening/Ribbon Cutting of the Triple J Manor House this Thursday, November 10, 2016 from 4:30-6:30 pm. Triple J Manor House will be providing drinks (water, tea, lemonade, and wine), appetizers, and desserts. There will be music by the Happy Ones and Sunset Slush of the Piedmont will be serving Italian ice. 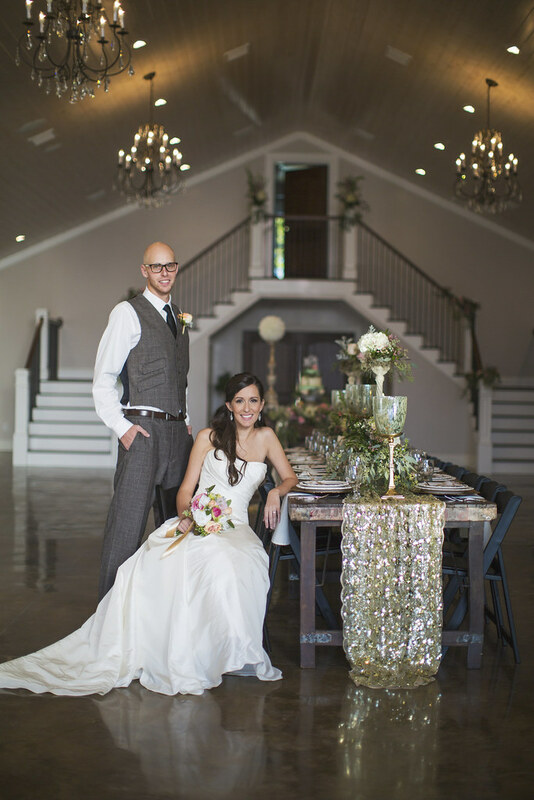 Originally built in the early 1800s for Benjamin F. Holton, the farmhouse has been transformed into a premier 6,000 ft. venue perfect for weddings, private events, receptions, meetings, showers, dinners, and much more. With its large wrap-around porch overlooking beautifully landscaped grounds, the Triple J Manor House is a delightful location for both inside and outside events of all sizes. The Manor House will seat 300 inside and 100-200 outside. It also features a bridal suite and a stunning twin staircase. Bill Junker, owner of Trailers of the East Coast, purchased the property about five years ago from Dee’s Antiques since it borders the trailer dealership, but he didn’t want to tear down the old farmhouse. Last January, the Junker family put their heads together to decide what could be done with the property. They decided to create an event center that would be managed by the mother and daughter team of Deitre and Madison Junker. Family members visited many special event venues to get ideas and to help develop a vision for the Manor House. “The Manor House has really come together nicely as a family affair,” said Deitre. “We all shared the same vision and the result has been amazing.” All agreed that they wanted to retain the farmhouse’s rustic charm while adding modern amenities like Wi-Fi and the technology for music and videos. Although Deitre and Madison will handle the day to day details, the Triple J Manor House has truly been a family affair. To maintain the rustic theme, Will Junker, Deitre’s husband and Madison’s dad hand-crafted rustic bar stands. Bill, who Deitre credits with having an eye for detail and a wonderful sense of style, served as project manager. The entire family was on hand to set up for the first wedding a couple weeks ago, with everyone chipping in, setting up tables and chairs, decorating… whatever needed to be done. The Triple J Manor House is located at 362 Interstate Drive in Mocksville. For more information, go to http://www.triplejmanorhouse.com or call (336) 407-4826 or (336) 909-5764. Special Thanks to Jessica Marie Photography for the wonderful photographs, Styled Gatherings for the styling, and Dish GardenArT for the flowers!